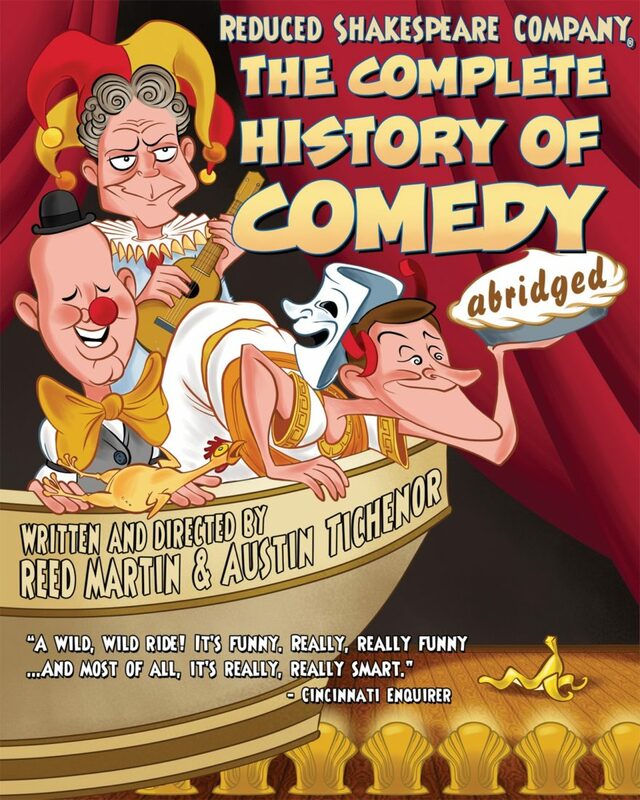 William Shakespeare’s Long Lost First Play (abridged), written by Reed Martin and Austin Tichenor, has now been published in both the United States by Broadway Play Publishing and Great Britain by Josef Weinberger and is available for licensing worldwide. Read about its creation and “discovery” on the Shakespeare & Beyond Blog from the Folger Shakespeare Library. 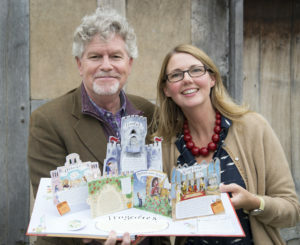 On September 24, 2017, the Shakespeare Birthplace Trust in Stratford-upon-Avon hosted illustrator Jennie Maizels and co-author Austin Tichenor at a special event celebrating the publication of their new book Pop-Up Shakespeare. 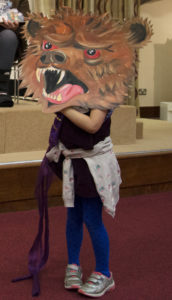 Jennie created wonderful props and costumes for Austin to wear while reading excerpts, and for kids in the audience to wear while re-enacting moments from Shakespeare’s plays, like this young man who was transformed into Bottom from A Midsummer Night’s Dream, and this adorably terrifying bear from A Winter’s Tale. 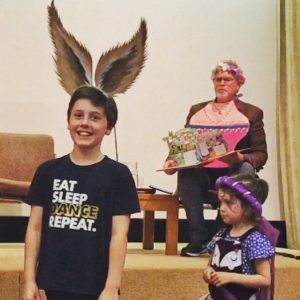 Hear audio excerpts from the event here on the RSC Podcast! 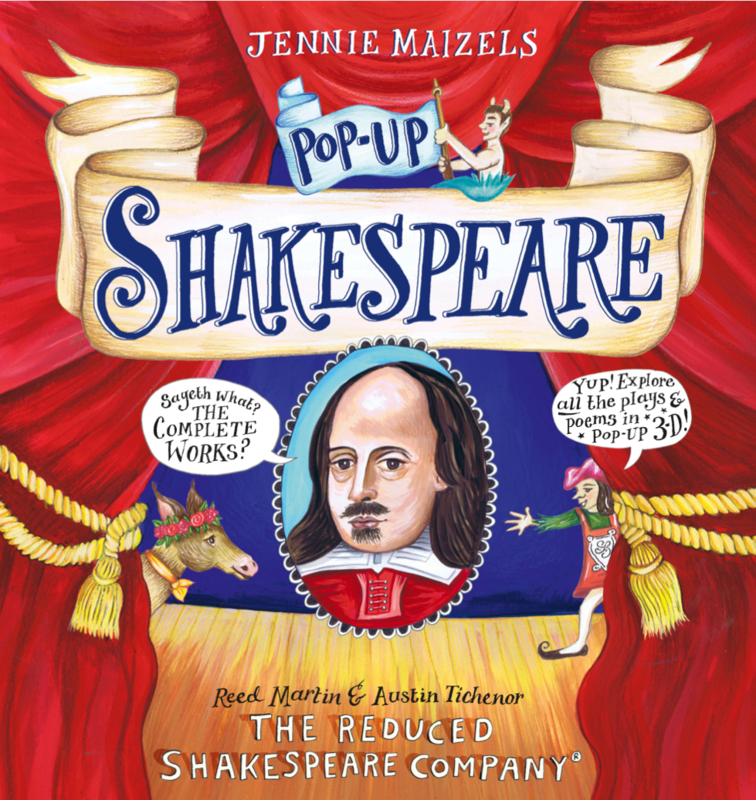 Get more information about Pop-Up Shakespeare (including links to buy) here! 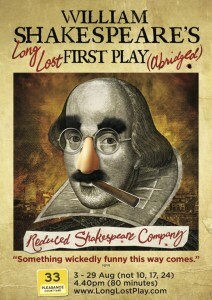 Dates Announced for UK Tour of William Shakespeare’s Long Lost First Play (abridged)! 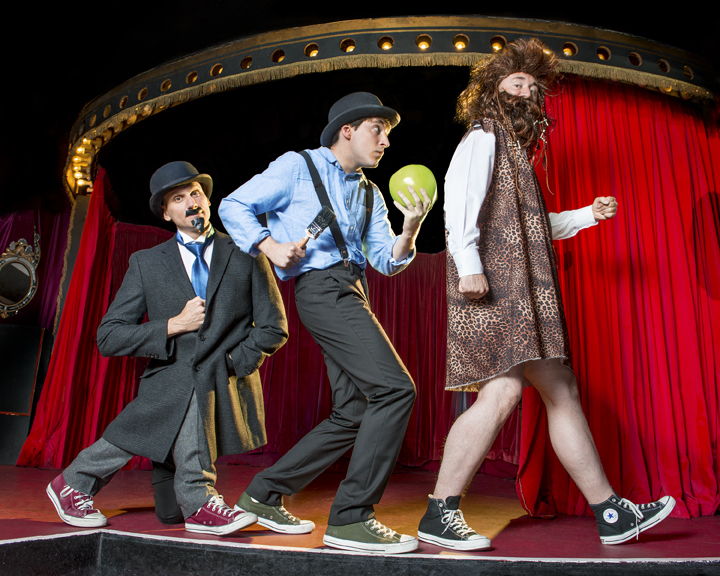 Dates have been announced for the 2017 UK tour of William Shakespeare’s Long Lost First Play (abridged). Traveling the length and breadth of Great Britain, the tour currently runs from February to May, but more dates are continuing to be added. Click here for the list of venues and links to buy tickets. The three cast members (above) are Matthew Pearson, James Percy, and Joseph Maudsley. 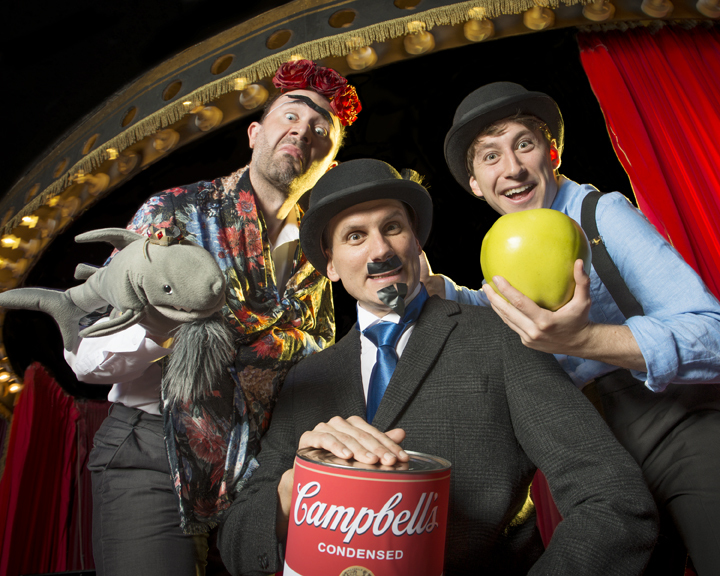 Matt (left) is an RSC veteran, having performed on UK tours of The Complete Works of William Shakespeare (abridged) in 2013 and The Complete History of Comedy (abridged) in 2015. 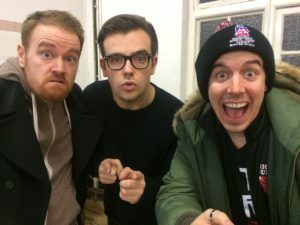 James (center) and Joe (right) are veterans of the Potted Potter phenomenon, having performed the show in New York, Chicago, Ireland, Australia, Asia, and Canada. Click here to check the list of dates. 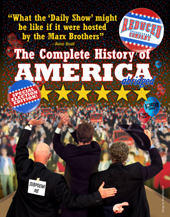 Are we coming to a theatre near you? Let us know in the comments below! “The Ring Reduced” Now Online! 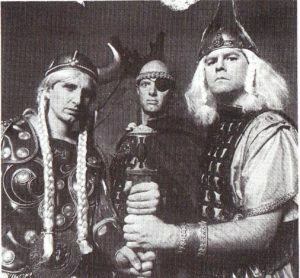 The Ring Reduced is the Reduced Shakespeare Company’s twenty-two minute reduction of Richard Wagner’s epic sixteen-hour Ring Cycle. Shot and broadcast on Britain’s Channel 4 in 1994, it has now been posted on YouTube by users unknown. (Bonus points if you can spot an actress from Doctor Who and Outlander.) Check it out! 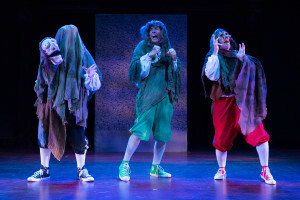 Two gentlemen of Sonoma (plus one) return to the Edinburgh Fringe Festival for the European (for the moment) premiere of William Shakespeare’s Long Lost First Play (abridged)! 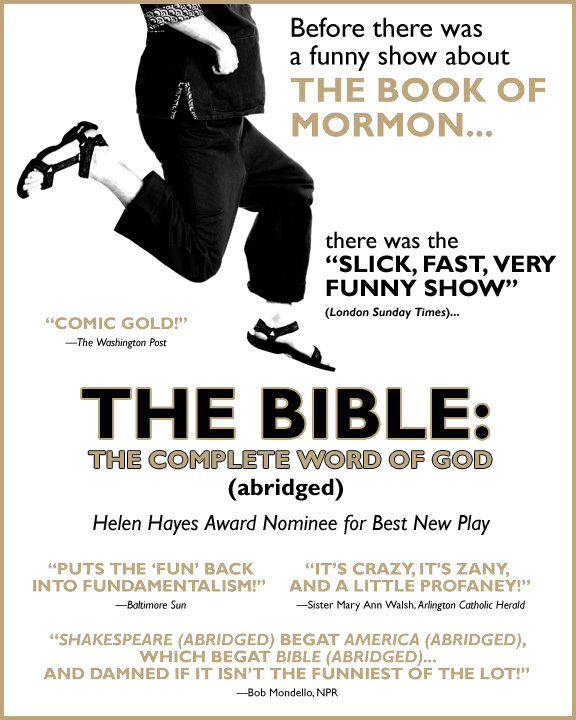 This literary “holy grail” (American Theatre) will be at Pleasance Courtyard from August 3-29 (no performances on 10, 17, 24). 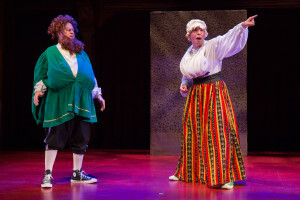 Don’t miss this “breathlessly irreverent and pun-filled romp” (Washington Post) that’s also “an absolute resolute hoot of a bawdy comedy of errors” (Broadway World)! 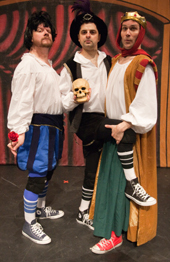 You can’t claim you’ve seen the Complete Works until you’ve seen William Shakespeare’s Long Lost First Play (abridged)! Watch authors Reed Martin and Austin Tichenor try to get their manuscript authenticated at the Folger Shakespeare Library (below). A Hoot, a Palpable Hoot! We’ve Reduced the History of Art! It’s not just us either. Whether you are an experienced collector, or brand new to buying art, you’ll be spoilt for choice with 112 galleries under one roof, bringing paintings, photography, sculpture and editioned prints for you to enjoy. The Fair will also be hosting high-speed ‘reduced’ art history tours – quick enough to squeeze into a lunch break – with art expert Estelle Lovatt FRSA, who worked with us on this new show. Tickets are only £10 – £20 (concessions £8 – £13) and include the performance (7:15pm and 8:15pm only), plus access to galleries and affordable art from all over the country. Hours are from 11am to 6pm, 23-26 October — but our only public performances are on Thursday 23 October. For more information, visit AffordableArtFair.com/battersea. RSC World Premiere Is A Hit! A Very Palpable Hit! A Brand Spanking New RSC World Premiere! 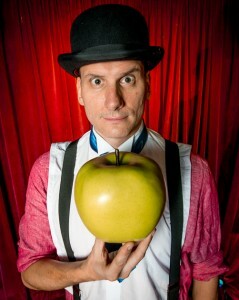 No, the Bard himself is not in China. 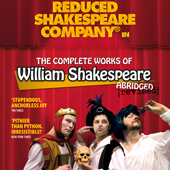 But the RSC will be performing the show – The Complete Works of William Shakespeare (abridged) [revised] October 14-27 at the Hong Kong Academy for the Performing Arts. And check this out! The President of Singapore saw the show during its two week Singapore run at the beginning of October! 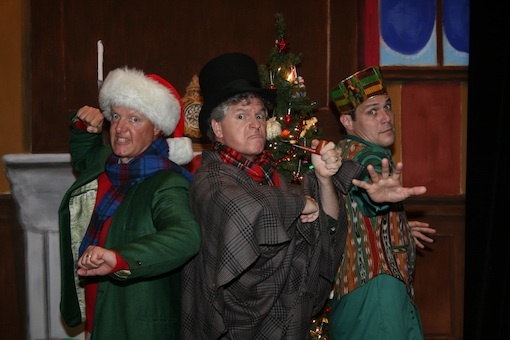 We will be touring the RSC holiday classic – The Ultimate Christmas Show (abridged) – across the USA in December from Galesburg IL to Eau Claire WI to Reston VA. So spread a little holiday cheer (very little) by buying tickets for yourself and your friends! Warning: Although the show is not fattening, it may be habit forming. It’s Beginning To Look A Lot Like Chrismakwanukkahanzakah! 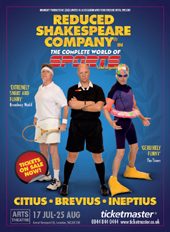 Shakespeare Returns to the UK! 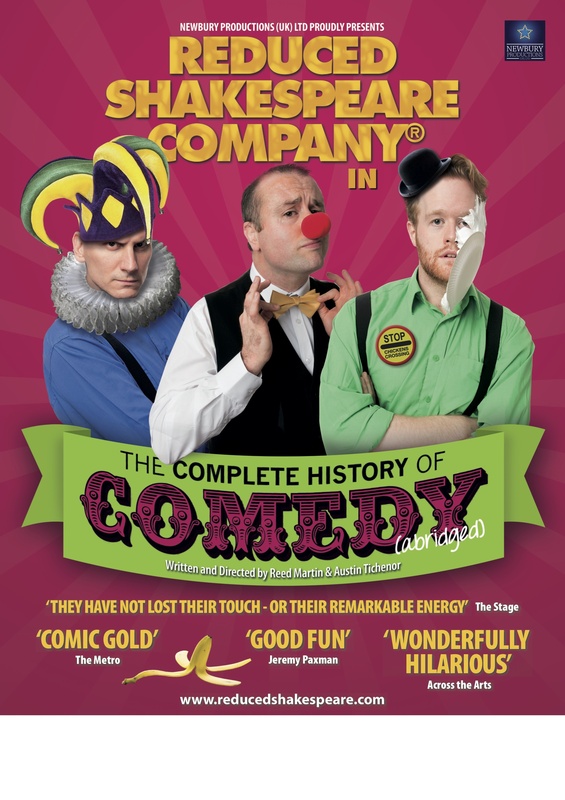 UK National Tour from April 2013! (And yes, this time we mean Scotland, too). 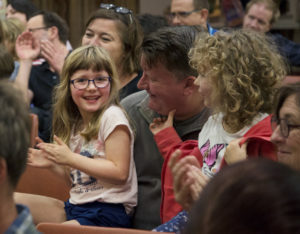 We were very disturbed by the recent survey conducted by Vision Critical that suggests contemporary children have no idea who Shakespeare is and that more than a quarter of adults haven’t read his plays. And the final kick in the codpiece that nobody knows Shakespeare was British?! We blame ourselves. 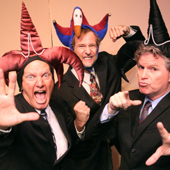 Ever since the three American lads of the Reduced Shakespeare Company concocted The Complete Works of William Shakespeare (abridged) [revised], the play has been such a massive global phenomenon that most people quite rightly assume that Shakespeare was American. (We thought so too until very recently.) Shakespeare is the most produced playwright in any language in any country. He’s EVERYWHERE. He’s like the American military or Katy Perry, except with fewer guns or firework-shooting bras. 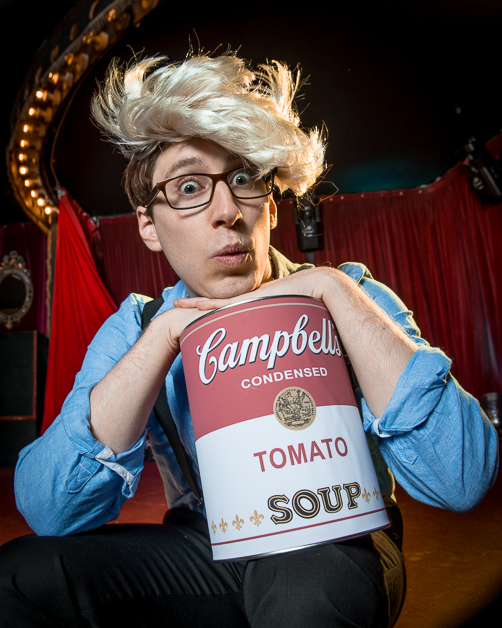 Big Announcement Coming Jan. 9! We are very excited to announce that, on January 9, we will announce something that we’re very excited to announce! 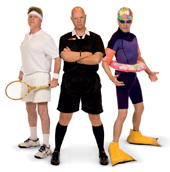 It has to do with our 2012 summer plans…but that’s all we can say. Until January 9. If you have guesses – or suggestions! – leave them in the comments below. But don’t forget to come back January 9! 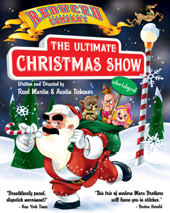 The Ultimate Christmas Show (abridged) MRT Promo! 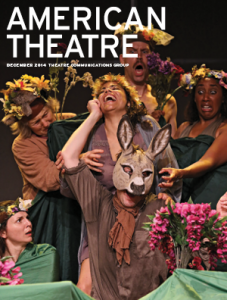 RSC Newsletter – Out Now! The Official Reduced Shakespeare Company Newsletter – the RSC Reader – is out now! If you haven’t signed up to receive this free newsletter full of pointless reduced facts designed to clutter your tiny little mind, what are you waiting for?! ?